You wake up in a desert cemetery one night. You don't remember how you got here, but something feels wrong about the place. 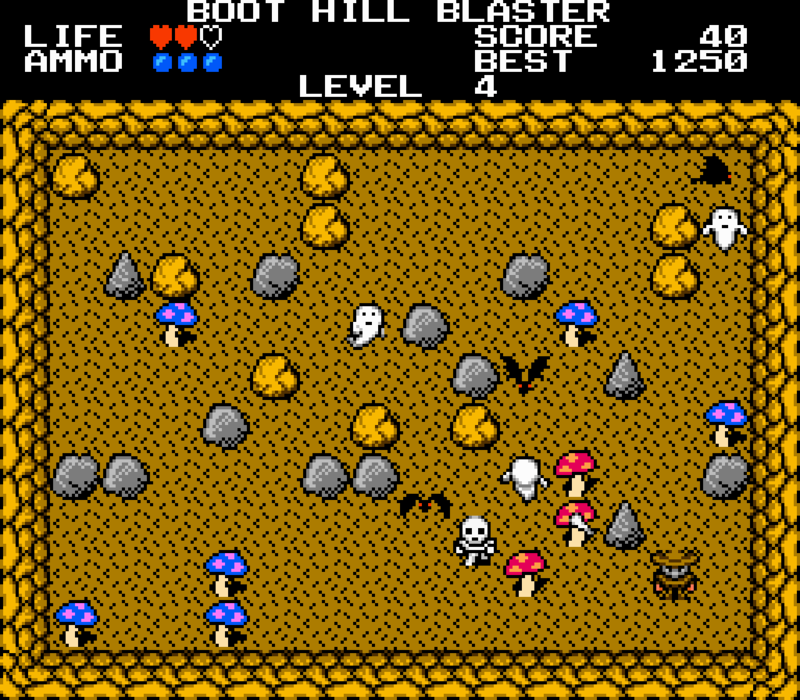 The ground begins to shake and you suddenly find yourself in a fight for your life against a swarm of deadly monsters. How long can you survive this night of terror? 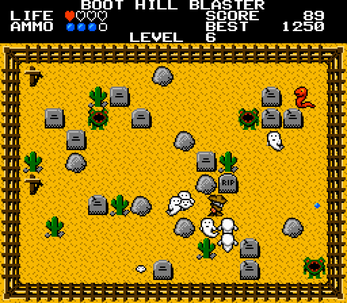 The object of the game is to destroy as many monsters as you can without dying. 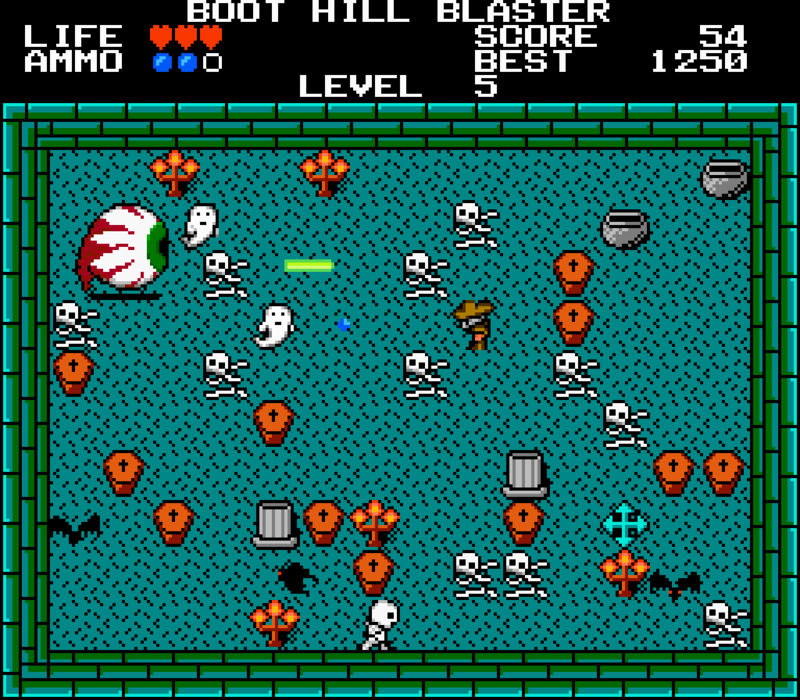 Destroying all monsters advances you to a new level. 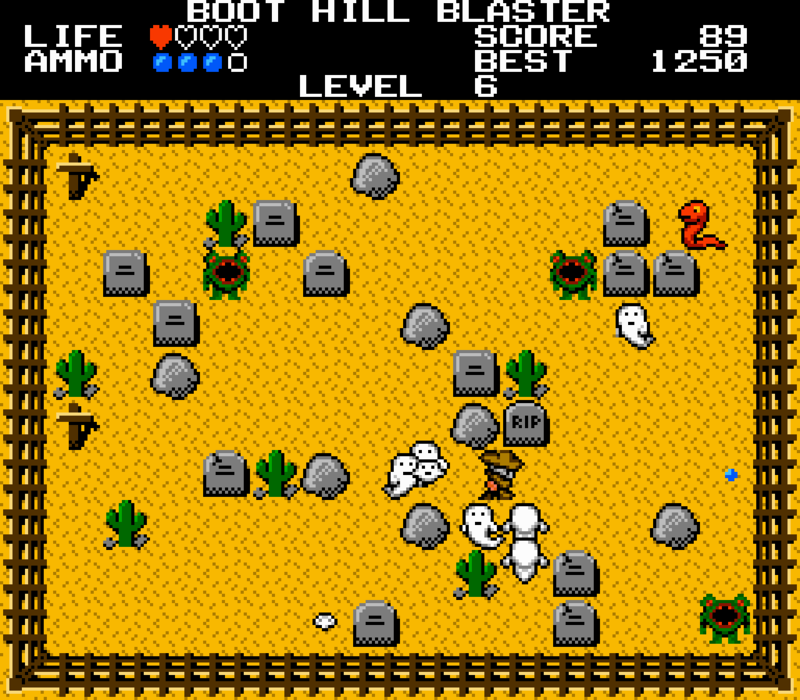 Your character starts with three health points and three blaster charges. You gain one more every five levels you complete. Your blaster recharges automatically. Be sure to grab the bonus items that appear. They will help you stay alive. 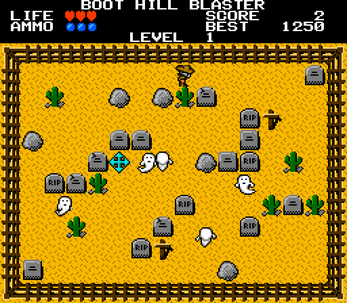 Boot Hill Blaster features fast-paced arcade action, retro/NES-style graphics, and an original chiptune soundtrack – listen now at SoundCloud! 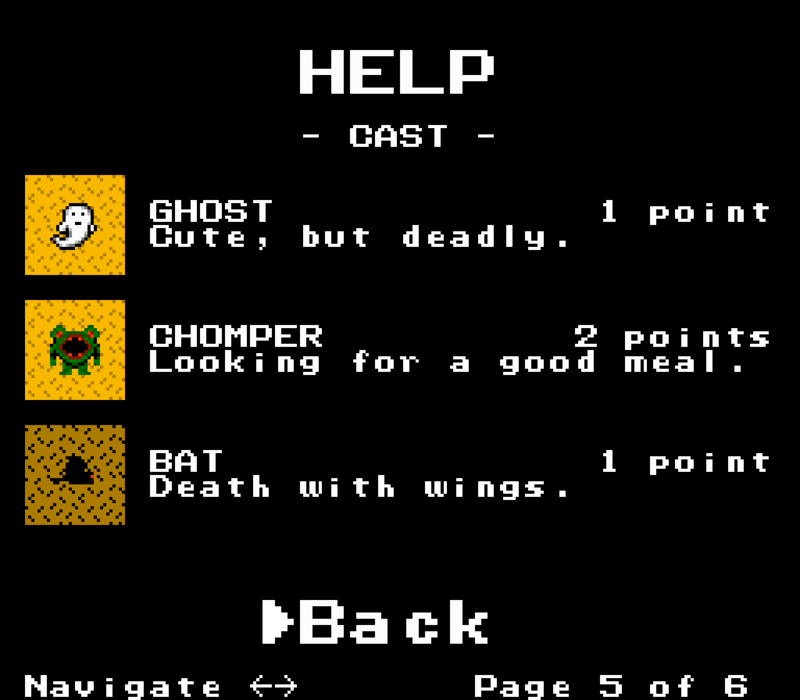 The demo contains the first three levels of the full game, three bonuses, and three monster types. Programming, art, sound, and music by Adam Biser. Complete overhaul of gameplay and major changes. Windows and Android versions now use the same code. OGG music instead of lo-fi WAV. Game and music pause when game loses focus. 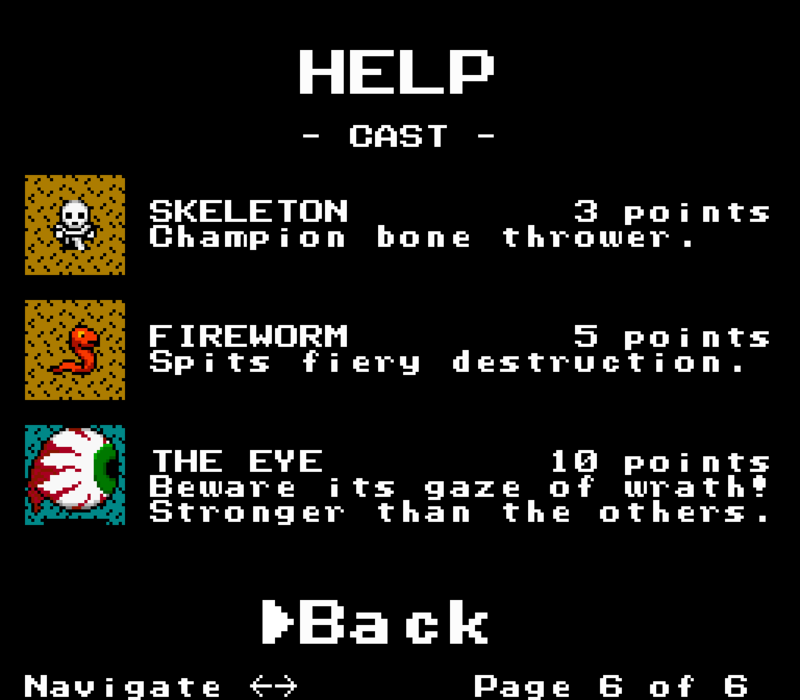 New enemies: bat, fireworm, skeleton, eyeball boss. 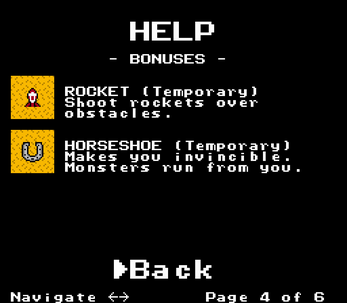 New powerups: time freeze, all-way shooting, rocket, horseshoe. 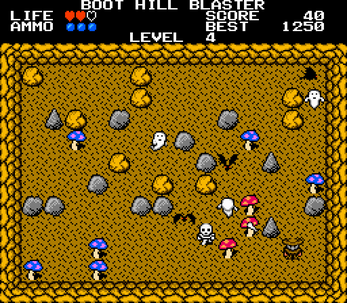 New settings: cave and crypt. Fixed image loading bug that could cause a lock on the loading screen. Display icons are now set before creating the display. Updated JRE in Windows installer. Mac OS X support was later dropped. This is the final Mac OS X release. This is the last release to use Java. Shaders now bind their attributes correctly. 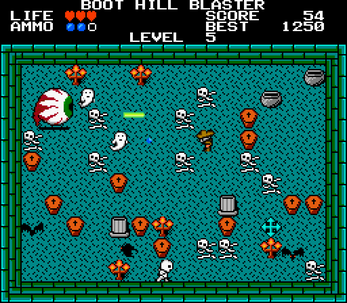 High score is now saved from session to session. 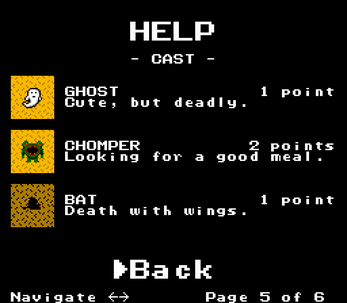 Ghost path selection was improved. Added Mac OS X version. Reduced graphics requirements to OpenGL 2.0. Fixed shader program linking and validation status checks. Pausing no longer randomly causes the game to speed up while paused.. 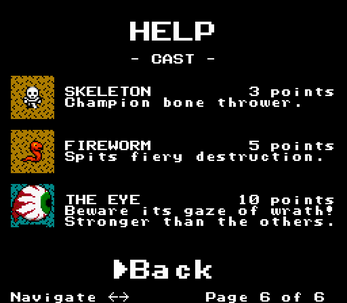 The demo version now has music. Note: Mac OS X support has been dropped. The old 1.3 downloads are still available. I'm glad you enjoyed it! Thanks for checking it out and for sharing your video here. XP, 7, 10? 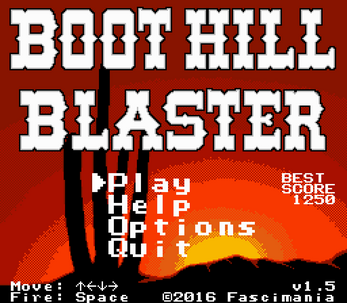 32-bit, 64-bit?